There are currently no Harrodsburg notable alumni listed. Be the first to add an HHS famous alumni. This section is to remember Harrodsburg High alumni who have passed away. There are currently no memorials for Harrodsburg alumni. 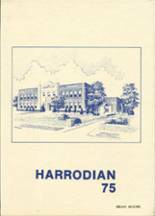 The Harrodsburg High alumni site is made so that students and teachers from the Harrodsburg high school can reconnect with those that they met while attending high school. 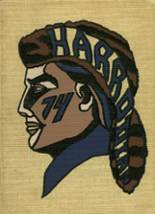 While you are reminiscing about the times you spent in high school at Harrodsburg High School, you should also check out alumni photos, yearbook listings and share any reunion info if possible. 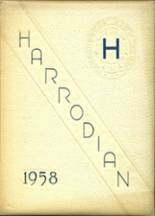 For former Harrodsburg HS students from KY, you can view the class reunion information that has been posted by other site visitors. In addition, we encourage you to post your profile in the alumni directory, share information about the school activities you were involved with and reconnect with Harrodsburg High School alumni. Bryant Wilson has someone searching for them. Joey Holt has someone searching for them. Smith Billy has someone searching for them. Jason Estes has someone searching for them. Pamela Brown updated their profile picture. Pamela Brown registered as a HHS alumni. Pamela Brown added photos to their personal photo gallery. Jimmy Sanders updated their profile picture. Jimmy Sanders registered as a HHS Class of 1975 alumni. Jimmy Sanders added photos to their personal photo gallery. Kim Satterly Burton updated their profile picture. Kim Satterly Burton registered as a HHS alumni. Kim Satterly Burton added photos to their personal photo gallery. Kim Milburn Parrott added photos to their personal photo gallery. Kim Milburn Parrott updated her profile picture. Kim Milburn Parrott registered as a HHS Class of 1981 alumni. Frances Green Caton registered as a HHS Class of 1967 alumni. Frances Green Caton added photos to their personal photo gallery. Frances Green Caton updated her profile picture. Lana Barnett Straten updated her profile picture. Lana Barnett Straten registered as a HHS Class of 1970 alumni. Lana Barnett Straten added photos to their personal photo gallery. Martin Walker IV W Iv registered as a HHS Class of 1981 alumni. Martin Walker IV W Iv updated his profile picture. Martin Walker IV W Iv added photos to their personal photo gallery. Bryan Cheak updated his profile picture. Bryan Cheak registered as a HHS Class of 1981 alumni. Bryan Cheak added photos to their personal photo gallery. Jerry Freeman added photos to their personal photo gallery. Jerry Freeman updated his profile picture. Jerry Freeman registered as a HHS Class of 1987 alumni. Jennifer Parker Bradley registered as a HHS Class of 1981 alumni. Jennifer Parker Bradley added photos to their personal photo gallery. Jennifer Parker Bradley updated her profile picture. Jennifer Sims updated her profile picture. Jennifer Sims registered as a HHS Class of 1997 alumni. Jennifer Sims added photos to their personal photo gallery.